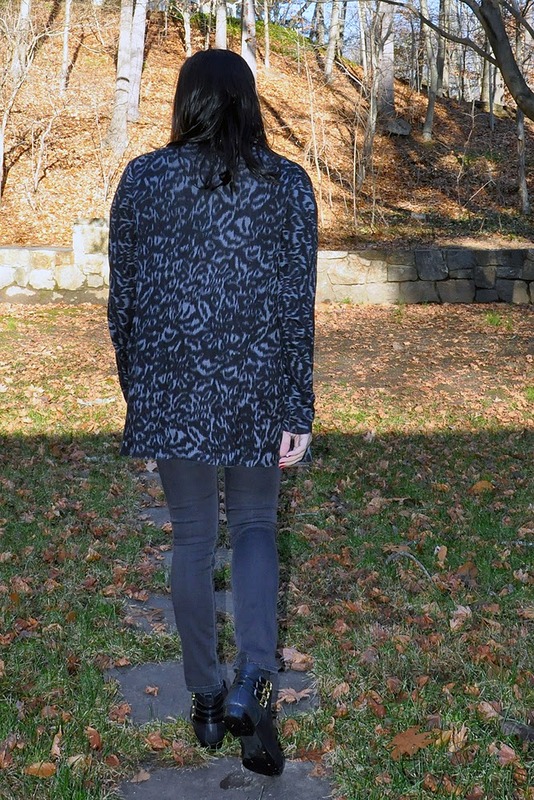 Here it is, my last outfit post of 2014! Wow, can't believe it...can you? The title is a play on The Hobbit's final movie hashtag: #OneLastTime. Are you guys Middle Earth fans? Some of you will know that Lord of the Rings is my favorite film series (yes, even more than Harry Potter, books are my jam there) so this last journey to Middle Earth was a particularly bittersweet one. I went with my friend who I saw all the movies with for the first time (except Fellowship, which I didn't see in theaters.) I thought it was a good end to the whole six movie series. It was never going to be as good as Lord of the Rings but I think it's a great intro into the series. I wore this the second time I went to see the movie. I went once with my friend and then the day after Christmas with my brother, sister and her boyfriend. I preferred the non-3D version, but I may just be strange. Ha ha. I really, REALLY love that cardigan. It's so unique and laid-back :) You look so great! Happy New Year!! Hope you have a marvellous NYE ! "See you" next year. Such a cozy cardigan. Love it. Have a wonderful New Year's Eve! I saw the last installment this weekend - I love LoTR but was never a big Hobbit fan (the Silmarillion is my jam!) but it was fun to see for sure! Yes, this year flew for me too. I love the sweater and dainty necklace. It is really hard to imagine that 2014 is over! I don't think you are strange, I would much rather watch a normal movie than a 3D movie - especially a long one - after about 20 minutes I want nothing more than to ditch those annoying glasses. Love your last outfit of the year!!!! I had no idea you loved LOTR more than Harry Potter! I love the original films. The Hobbit was good, but I didn't like the second movie at all, which left me not wanting to see the third one in the theater. I am sure I will see it when it's available to own though. I don't like 3D either!